Drs Crombie (on the left in the photo) and Ward (on the right) started this family practice in 2016. They both live in Pinelands and know the community. Jennifer is a Capetonian who graduated fom UCT and has been practising as a GP in Pinelands since 2013. She has a diploma in Mental Health and is passionate about changing the perception of mental health and its medical treatments. She enjoys family practice and building long-term relationships with the whole family. Ruth graduated from Wits and worked for many years as a general practitioner in Johannesburg. She has a special interest in counselling and also ran a church counselling centre for 12 years. She has a theological degree with a major in pastoral care. Together Jennifer and Ruth see patients of all age groups and gender. They often see patients for women's health (including pap smears and mammograms), the elderly, and counselling. They offer emergency home visits, and home visits to their patients in retirement homes (if unable to mobilise to the practise). For existing patients, after-hours call outs and Saturday morning clincs are covered by a team of GP's - themselves, Dr Stodel, Dr Smith and Dr Davey. 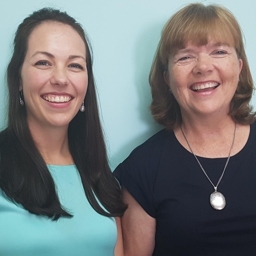 Drs Crombie and Ward are kind and compassionate doctors who take a holistic and therapeutic approach, and are passionate about tailoring consultations to your individual needs in a patient-centred manner.